Are you worried about the IRS? Don't know what tax deductions to take? 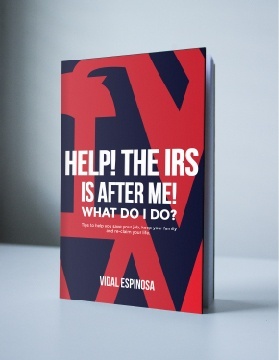 Our book gives you the insight on how to deal with the IRS....and NO you don't need to hire a professional to do it. Headquartered in San Diego Invictus Advisors is a bilingual firm of senior executives with extensive experience in a wide range of industries, including domestic and international companies of all sizes. With locations in the US and Mexico our team is knowledgeable of cross border business and perfectly poised to support your company. "Invictus Advisors have been amazing to work with. From monthly strategy meeting to help us grow our practice to ideas and action steps to build brand awareness this company knows what it takes to run a successful business. Not to mention their ability to organize financial statements, find places that you can improve, and help strategically plan for taxes. I would recommend this team to any business owner." Get FREE help on how do deal with the IRS in this ebook!